One of the most valuable resources within any society is clean water. Anything that negatively affects our water supply will inevitably affect us, and with such a valuable and limited resource supporting us we should be doing as much as possible to keep it secure. But are we doing enough? Water is essential to modern life. Without it many industries would come to a halt and our food supply would perish, making society unlivable. Our dependency on this one simple element is tremendous, yet our ability to protect it from threat is lagging behind in terms of priority. According to the Department of Homeland Security, there are over 150,000 public drinking water systems and more than 16,000 publicly owned wastewater treatment systems in the United States alone. Recognizing society's vulnerability to a damaged water system, federal guidelines have been put into place to ensure that our drinking water is safe and our waste water is properly treated to prevent widespread illness—but what about bioterrorism and other threats of attack? Unlike other aspects of infrastructure, water is primarily funded at the state level. Federal resources are available but sometimes limited, and many utilities find themselves falling short of the necessary budget to properly protect our water supply from threats. Strict compliance standards for clean and safe drinking water have taken precedence in the budget, which has led to fewer incidents of illness spread through the water supply but has left little room in the budget for security improvements and upgrades. So what can water utilities do to prevent physical security threats? Typically, water must pass through purification standards after leaving a reservoir but concerns have been raised that most, but not all, biological agents would be killed off during the purification process. Concerns were elevated even more during a 2011 incident in Portland, Oregon when Josh Seater contaminated 7.8 million gallons of treated water in a reservoir feeding directly into consumers' homes. The incident resulted in millions of gallons of treated water being drained and the reservoir being scrubbed down and cleansed before it could be used again.. Due to heightened awareness and vigilance, smart video analytics and perimeter surveillance, and intrusion detection are key elements to protecting reservoirs in any water security plan. Smart video analytics capable of detecting the difference between a human threat or an animal have been key for security personnel attempting to monitor water sources. Surveillance is also essential around dams, which if destroyed, can potentially destroy entire towns. Many utilities have also banned hunting and fishing in and around reservoirs, such as those in upstate New York that recognized potential threats following the September 11, 2001 attacks. Some utilities have decided to get creative with their physical security, using methods that work effectively with patrolling a large area of natural resources with limited funding. While air patrols have been successful for some utilities, they are budget busters that may not be usable options for all utilities. Drones are growing in popularity as a way of monitoring a large body of water when patrolling on foot is no longer economically feasible. After witnessing successes by police departments and the coast guard with patrolling large bodies of water for stranded swimmers, water utilities are realizing the benefit that drones provide in security. By detecting intruders sneaking past perimeter fencing in areas where surveillance is blocked by natural barriers, drones they have been key in catching and deterring individuals who have attempted to pollute reservoirs. Other methods are also becoming popular for security budgets that are stretched too thin, such as barbed wire fencing and plants that act as deterrents for intruders. A water utility in Kansas stated that while their surveillance was a necessary element to their security, bushes with thorns have managed to catch a high number of intruders off guard and deter them from entering private property. Resources for new security technologies are always available, and surveillance technology is only advancing year after year. 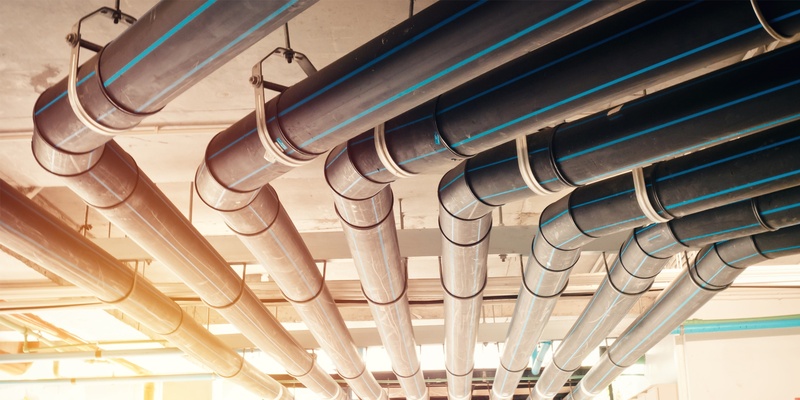 As with any security plan, water utilities should be continually assessing reservoirs for vulnerabilities, evaluating the risks faced by any water supply, and taking steps to ensure that the supply remains safe and secure for consumers.